We all know Tam.Beauty best for creating Makeup Revolution, Freedom Makeup and I Heart Makeup but did you know they have launched some other brands including a new brand called Free From Frizz. I spotted this brand and it's products at the Makeup Rev 2nd Birthday party back in March as they was previewing and was particularly interested in them because I have really frizzy hair; I'm always on the look out for new hair care products that can help fight the frizz. 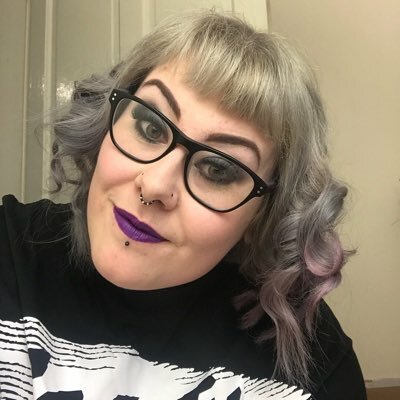 Tam.Beauty contacted me to ask if I was interested in sampling the new Free From Frizz range, they offered to send me the Try Me Kit and I couldn't wait to try it out. 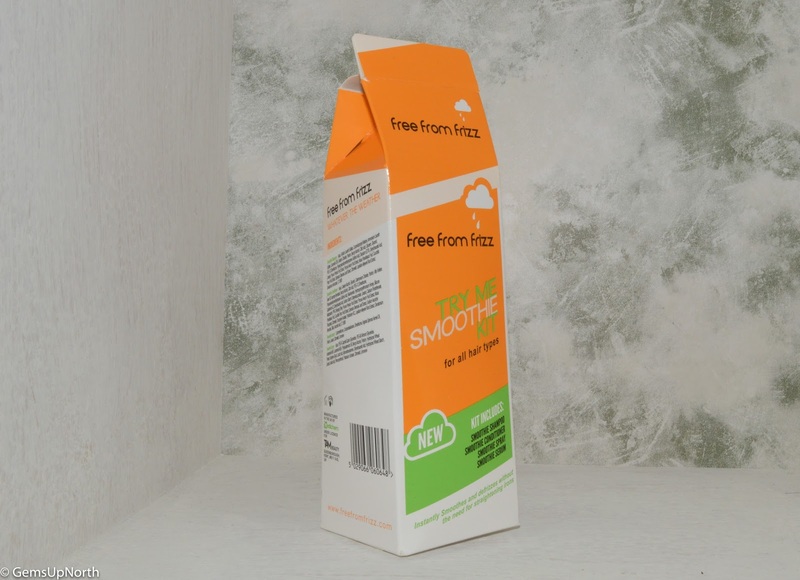 Free From Frizz claim to transform unruly locks into sleek frizz-free hair. The products ingredients are suppose to boost, condition and strengthen the hair shaft whilst anti-oxidants help protect the hair from environmental damage, humidity and UV-B radiation. The Try Me Kit includes 4 items; Smoothie Shampoo, Smoothie Conditioner, Smoothie Serum and Smoothie Spray all of which work together to fight frizz. The shampoo and conditioner are travel sized and have enough in for quite a few washes, I've used both products 5 times and have another couple of uses in the bottles. The serum and spray are also travel sized but I've got a lot more uses out of them, I only use 2 pumps of the serum after I've washed my hair and 3-4 squirts of the spray is enough to cover my short hair. I assume for longer hair more product would be used. Like I said above I've used the products in the kit 5 times now, I wanted to sample them fully and see the results, I've used the serum on wet and dry hair to see what worked best for me. The first time I tried the kit I let me hair dry naturally and for the other washes I have used a hair dryer. So as you can see I've sampled the kit fully and now have my findings in order. To start the shampoo and conditioner's scent is amazing, with a mango scent that stays in my hair for a couple of days until my next wash. I'm the sort of person that if something smells good and works then it's a winner, I don't tend to use products I don't like the smell of. The shampoo lathered up really well so was easy to use, it also rinsed out of my hair quickly. Of course I used the conditioner next which also soaked into my hair really easily, it has a milky texture which I smoothed through my hair using my fingers and left on for a few minutes before rinsing. I can usually tell when my hair isn't conditioned enough but my hair felt really fresh and soft already even though it was still wet. The only negative thing I have to say about the shampoo and conditioner are the container bottles they come in, they are impossible to squeeze, the plastic is really tough and it was a lot of effort to actually get the product out especially when the bottles wasn't full. I hope the full size containers are easier to squeeze and get product out of. After towel drying my hair I applied 2 pumps of the Smoothie Serum running it through my hair with my fingers, especially working it into the ends. The serum isn't sticky or thick so smooths onto my hair at ease, it also has the same beautiful mango scent as the other two products. Using the serum helps fight frizz but for me it made styling easier too, my hair was more tame when blow drying and felt so smooth once fully dried. When I left my hair to dry naturally I did find my hair didn't feel as soft but styled just as easily after applying the serum. I have used the serum on dry hair, as well as wet/damp hair, the product didn't smoothe through my hair like it did when my hair was wet but again helped to style my hair, I was able to blow dry my hair into place after applying. Lastly the Smoothie Spray which can be used again on wet or dry hair, I personally found it more beneficial to spray onto dry hair. If your using the serum on wet hair you don't really need to use the spray at the same time. This product can be used before styling to control frizz as it tames your hair, it's also good to keep in your handbag for any frizz attacks throughout the day. The spray has the same mango scent as the other products which I'm becoming a true fan of after using this try me kit. My hair felt super soft after using all 4 of these products but also felt soft and tamed after just using the shampoo and conditioner, I think the serum and spray do help control frizzy hair but the shampoo and conditioner would be enough for me personally. The products have helped my frizzy hair be more manageable when styling and stay frizz free throughout the day, if I have needed a top up the spray has been at hand to control my hair. The scent is one of my favourite aspects of all 4 of the products, I'm so glad they smell so nice and fruity. When I used a hair dryer I didn't need to use my straightening irons but after leaving my hair to naturally dry I did have to run them over just to tame the wildness of my hair and achieve a sleek straight look. I would of happily picked this kit up in the shop if I saw it as it only £4.99 and I think it gives you chance to try the products for yourself and see if they work for your hair. I personally have had a great experience with the products and will be ordering a full size shampoo and conditioner once I've used the last bit if my travel sized bottles up. 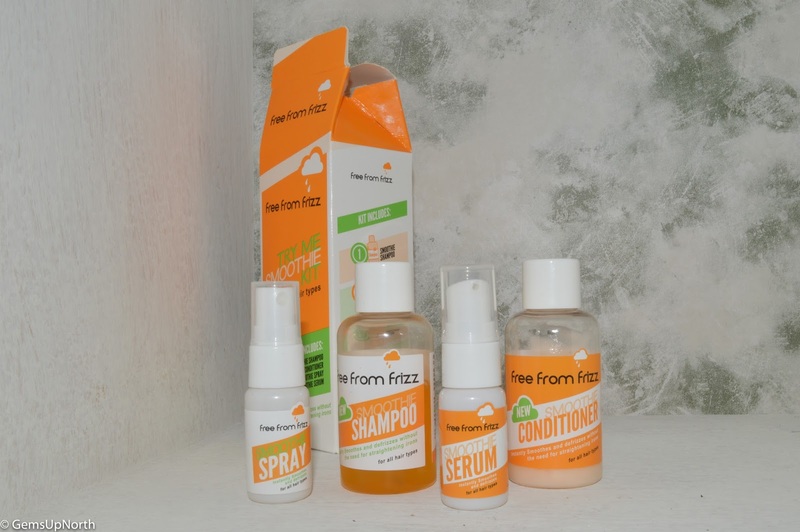 You can purchase all the Free From Frizz products on Tam.Beauty's website here and they are all cruelty free too. Hiya, sorry about the delay in getting back to you. I wanted to double check the packaging before I replied. The conditioner has sulfonic acid in it too. 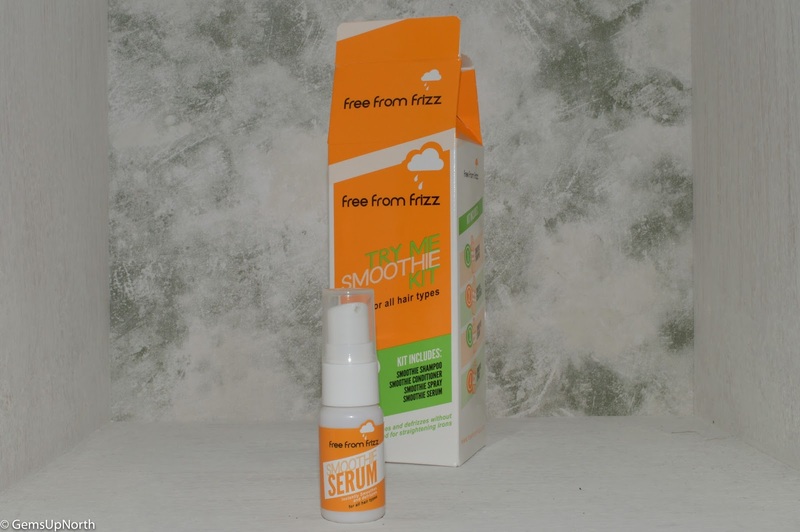 The serum has none and neither goes the spray. I've taken this information from the Free From Frizz packaging so I hope this helps.